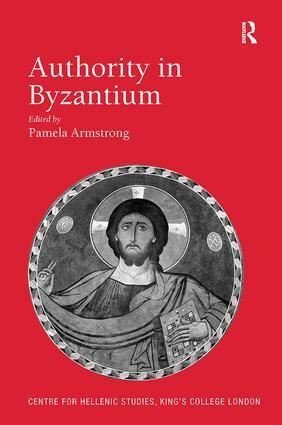 Authority is an important concept in Byzantine culture whose myriad modes of implementation helped maintain the existence of the Byzantine state across so many centuries, binding together people from different ethnic groups, in different spheres of life and activities. Even though its significance to understanding the Byzantine world is so central, it is nonetheless imperfectly understood. The present volume brings together an international cast of scholars to explore this concept. The contributions are divided into nine sections focusing on different aspects of authority: the imperial authority of the state, how it was transmitted from the top down, from Constantinople to provincial towns, how it dealt with marginal legal issues or good medical practice; authority in the market place, whether directly concerning over-the-counter issues such as coinage, weights and measures, or the wider concerns of the activities of foreign traders; authority in the church, such as the extent to which ecclesiastical authority was inherent, or how constructs of religious authority ordered family life; the authority of knowledge revealed through imperial patronage or divine wisdom; the authority of text, though its conformity with ancient traditions, through the Holy scriptures and through the authenticity of history; exhibiting authority through images of the emperor or the Divine. The final section draws on personal experience of three great ’authorities’ within Byzantine Studies: Ostrogorsky, Beck and Browning. Dr Pamela Armstrong is Director, Oxford Byzantine Ceramics Project, Member of the Sub-faculty of Archaeology, Institute of Archaeology, and Member of Common Room, Wolfson College, University of Oxford, UK. Initiated in 1993 as an extension of the activities of the Centre for Hellenic Studies at King's College London, this series covers all aspects of Greek culture and civilization. The volumes published to date present a broad range of topics from ancient to modern, including the papers of several international symposia held at KCL. Titles deal with the history and image of Alexandria, the image of Socrates across the centuries, the early years of El Greco, the making of Modern Greece, Greek-Turkish relations in modern times, and the history of Greek photography. Volumes recently published or in preparation cover the reign of the 12th-century Byzantine emperor John II Komnenos, the politics behind Lord Byron’s intervention in the Greek Revolution in the 1820s and Greek art music since the early 19th century.